Starkey is the latest addition to Lyft's comms team, which has doubled in size from six to 12 staffers since Brandon McCormick joined as head of comms last May. SAN FRANCISCO: Lyft has hired Bridget Starkey as director of consumer communications, a newly created role at the ridesharing company. Starkey stepped into the position on July 11, reporting to Sheila Bryson, director of corporate and consumer communications. Starkey is overseeing two staffers. As part of her responsibilities, Starkey is tasked with driving awareness and preference for the brand among consumers. She contended that eight out of 10 drivers prefer driving for Lyft, and the company wants to duplicate that brand preference among consumers. "Lyft was founded wanting to bring positive change to our everyday lives through changing transportation," said Starkey. "It is going to be my role to bring that to life and help tell that story to consumers." As Lyft launches in new parts of the U.S., part of Starkey’s role will be trying to capture market share through outreach and media engagement. From a growth and awareness perspective, she said Lyft is particularly trying to build a presence in New York, where Starkey is based. "The core of what we are doing is connecting people with their communities and each other," said Starkey. "The brand’s mission is what drew me to this opportunity." Before joining Lyft, Starkey was VP of consumer at Zeno Group for two years. Previously, she spent seven years at Current as a director. Starkey is the latest addition to Lyft’s communications team, which has doubled in size from six to 12 staffers since Brandon McCormick joined as head of comms last May. McCormick was previously director of global communications and monetization at Facebook and head of communications for WhatsApp. Last month, Lyft hired Adrian Durbin as its head of policy communications. He joined from McKesson, where he was director of policy strategy. In January, General Motors agreed to invest $500 million in Lyft as part of a $1 billion round of funding and laid out plans to develop an on-demand network of self-driving cars with the company. As part of the funding announcement, GM and Lyft unveiled a partnership on Express Drive, a program allowing Lyft drivers low-cost access to GM rental cars. "We are leading the path towards making autonomous vehicles a reality," said Bryson. "There are going to be a lot of exciting opportunities for Lyft to partner with regulators on pushing through policies on the autonomous vehicle side." Durbin noted that Lyft is working with policymakers across the country at the national, state, and municipal levels to help them understand what policy changes the company believes are necessary. 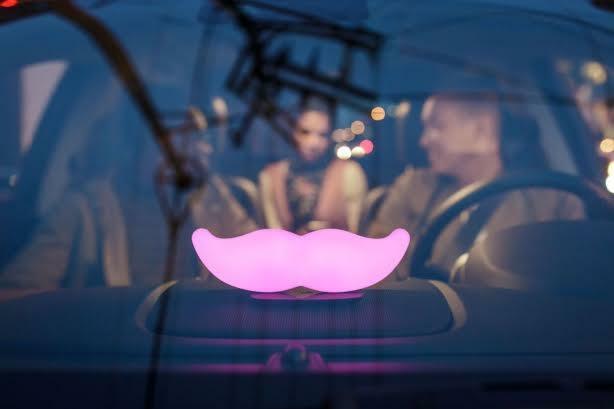 "Lyft chooses to collaborate with policymakers, rather than steamrolling them," said Durbin. "Being more collaborative with our approach is indicative of the broader corporate culture and the way we treat our drivers and passengers." The company has also recruited local drivers in Cleveland and Philadelphia for the respective Republican and Democratic national conventions. "We saw last week in Cleveland and have already seen in Philadelphia record demand for rides and record number of drivers out on the road," Durbin said. "We’ve spent a lot of effort recruiting drivers in those areas, but are focused on supplying those areas beyond the RNC and DNC events. We really want to build our presence in both of those cities." In terms of upcoming consumer-facing efforts, Starkey said the company will soon roll out a new Undercover Lyft video. The online video series, which launched last year, features disguised stars such as NBA legend Shaquille O'Neal picking up unsuspecting Lyft passengers. The video starring Shaq, released last month, garnered 1.1 billion media impressions. "We have a bunch of new Undercover Lyft videos in the pipeline," said Starkey. "We can’t yet disclose the talent. We also have a lot of end of Q3 and Q4 consumer campaigns coming up."